Dr. Umali was raised in Glendale, California. He attended Loma Linda University and received his Bachelor of Science in 1983. He continued his education at the Univeristy of the Pacific, School of Dentistry and received his Doctor of Dental Surgery degree in 1988. He started his practice in Alta Loma, CA emphasizing more on the restorative and cosmetic dentistry. He has taken several continuing education courses to perfect his dental skills and better servce his patients and provide them with the best dentistry they deserve. In 2006, Dr. Umali participated in a 10 month comprehensice course on implant placement and restoration. In 2007, Dr. Umali and his family moved to Flagstaff, AZ and bought a dental practice. 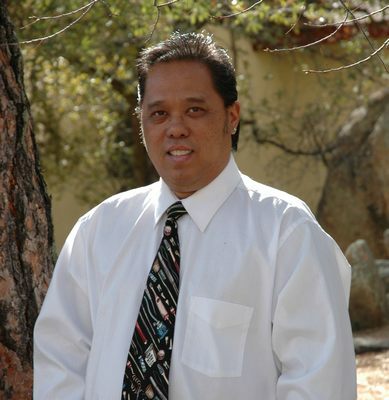 In 2011, Dr. Umali expanded his practice in Prescott, AZ. In 2012, Dr Umali sold his office in Flagstaff and moved permanently to Prescott. He is affiliated with the American Dental Association, California Dental Association, Arizona Dental Association, Academy of General Dentistry, and the American Academy of Implant Dentistry. When he is not at the office, he spends his time with his family. He is married to a wonderful wife, Yvonne and has 2 wonderful kids, Jessica and Jonathan. He enjoys boating, skiing and many outdoor activities. He can also be seldomly seen at your local charities and local car show with his custom 1939 Ford Sedan or 1969 Chevrolet Camaro.